1 of 1 In a large bowl, combine pineapple, mango, red onion, scallions, cilantro, jalapeno, canola oil and salt. 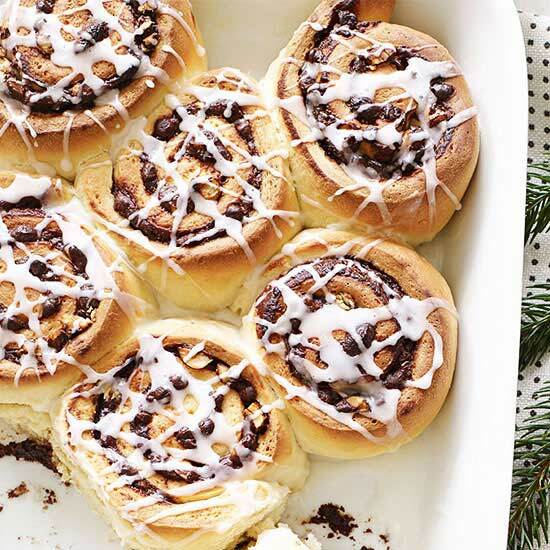 Cover and refrigerate until serving. 1 of 2 Heat oven to 450 degrees . Rub tenderloin with canola oil and season all sides with smoked paprika, salt and black pepper. Place in a roasting pan on a rack and roast at 450 degrees for 20 minutes or until internal temperature reaches 145 degrees . (Alternately, grill on an oiled grate over medium-high heat, turning several times, 14 to 18 minutes.) Tent with foil and allow to rest 10 minutes before slicing thinly. 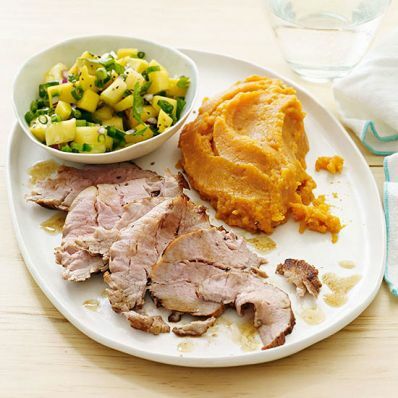 2 of 2 Serve pork with salsa and, if desired, Citrus-Chili Sweet Potatoes (recipe above). Per Serving: 512 mg sodium, 4 g fiber, 31 g pro., 378 kcal cal., 3 g sat. fat, 30 g carb., 16 g Fat, total, 92 mg chol.